The Berlin wall(s) I – From “Reichstag“ to “Potsdamer Platz“ - Berlin erleben ! Learn that various Berlin walls have already existed in past times, some remains are still present in part. Get to know interesting information about the “Reichstag“ and the surrounding area. 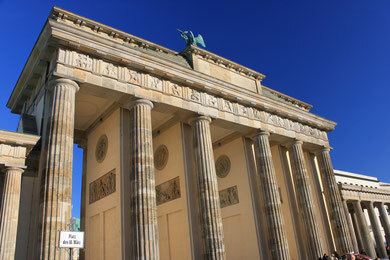 Of course the “Brandenburger Tor” – the symbol of Berlin par excellence. But what do we know of the detail of this city gate? Light and shade of German history – get in depth information about the “Memorial to the Murdered Jews of Europe”. 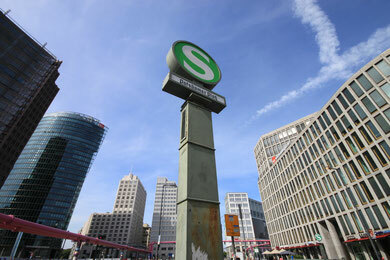 “Potsdamer Platz” was a cultural centre in the early 20th Century, full of energy and vitality. However, it is completely transformed today. Old and new worlds meet each other here.